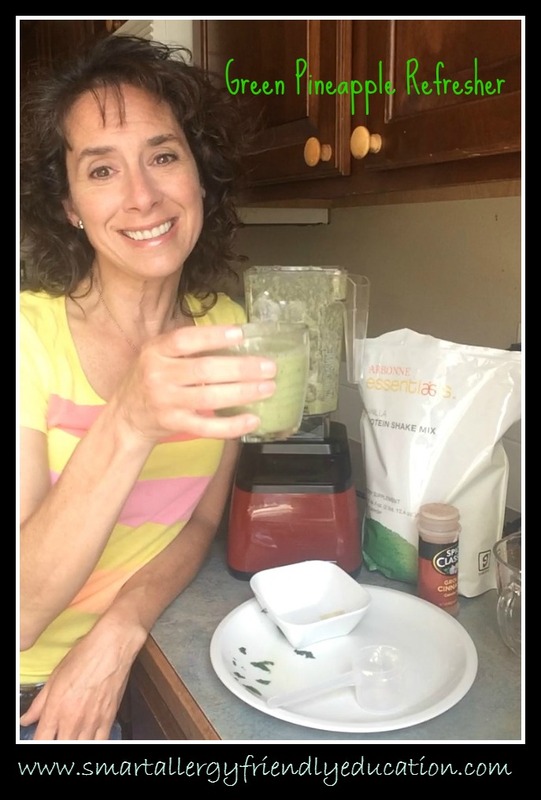 Here is my latest 'Allergy-friendly Smoothie with Daniella' recipe. Wanted something different, refreshing and easy to make! Happened to have had some freshly cut pineapple and went from there! Always guaranteed to be dairy-free, egg-free, peanut-free and tree nut-free with the occasional coconut thrown in. And it is once again, gluten-free !! Add the liquid first. Throw in everything else in any order! And Blend Away! Can't believe the difference a REAL blender makes! Loving my NEW BlendTec Blender! !